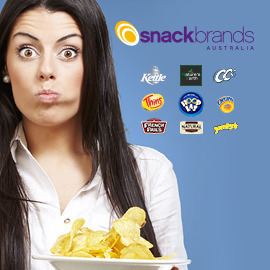 Snack Brand Australia (SBA) owns famous brand like Kettle, Natural Chip Company, Thins, CCs, Cheezels, etc. They know that people who love chips are interested in buying healthier alternatives. The difficulty is that when something is healthier, it often does not taste as good. As such, SBA is looking for ideas to make tasty and great chips that are a little less bad for consumers. Invent a new chip product with great taste to delight Australians who love chips but are always looking for an option that is a little bit better for you. It needs to be something that tastes good and remains a treat! Sharing a bag of chips should always be an indulgent moment and if it does not taste good, most Australians will simply not buy it! Format: Presentation is made of max three pages using the template.